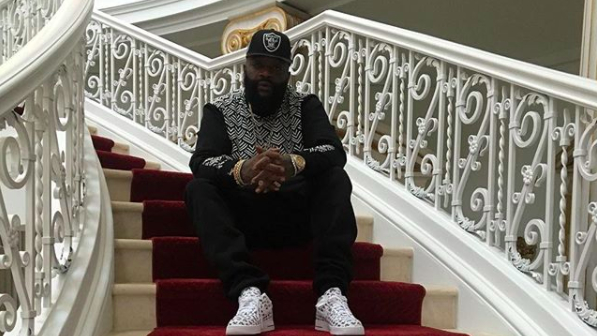 Rick Ross continues his foray into the acting world, officially joining the cast for the upcoming comedy-horror film, The House Next Door. As reported by Deadline, the film is the sequel to 2016's Meet The Blacks, which was a parody of 2013's The Purge. Additionally, Katt Williams and Danny Trejo will join the cast, with Mike Epps reprising his leading role. The film features a handful of other returnees, including comedians Lil Duval, Michael Blackson and Tyrin Turner, social media star Andrew "King Batch" Bachelor, Bresha Webb and Zulay Henao. Per Deadline, the film "centers on overstressed Carl Black (Epps) who after surviving a night of terror and becoming a best-selling author, moves his family back to his childhood home where he hopes to work on a new book. But when his quirky neighborhood becomes host to a mysteriously extravagant pimp (Williams), Carl's work is interrupted as his cousin becomes convinced the new neighbor is a vampire and is trying to steal Carl's entire family away." Although details pertaining to Ross' role have not yet been fully revealed, filming for the movie is officially underway with the city of Atlanta, Georgia playing host to the cast. The Maybach Music Group founder has previously appeared in Days of Wrath, Ride Along 2 and the TV series Magic City, with his next on-camera endeavor certainly sounding promising.